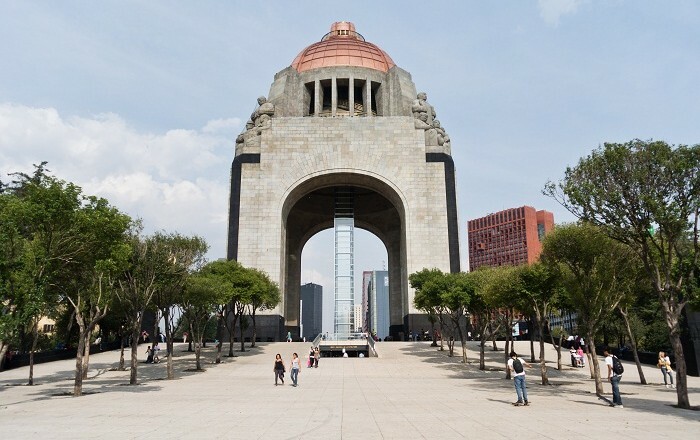 Monumento a la Revolución, also known by the English name as the Revolution Monument, is a landmark and monument which for the moment is the tallest triumphal gate in the world, located in the capital city of the United Mexican States, Mexico City. Standing at a height of 67 meters (220 feet), the arch was initially planned as the Federal Legislative Palace during the regime of the Mexican soldier, politician and dictator Porfirio Díaz. 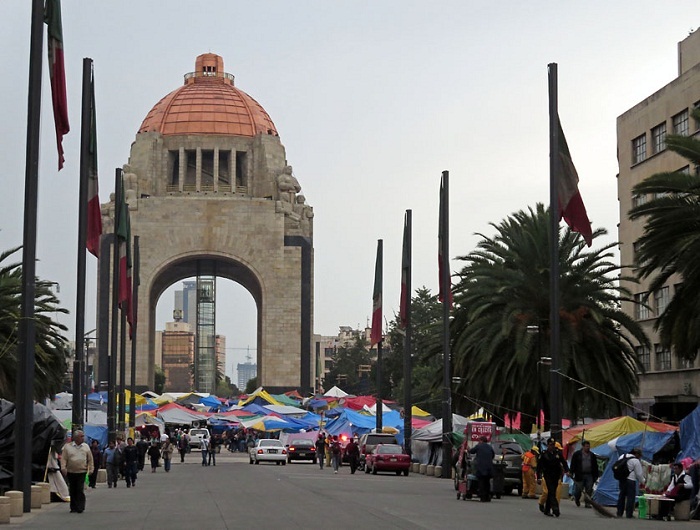 As it was planned in 1897 by the French architect Émile Bernard, the then Government of Mexico most likely wanted to demonstrate Mexico as an advanced nation by choosing someone who produced neoclassical design with a bit of a touch of the Renaissance. 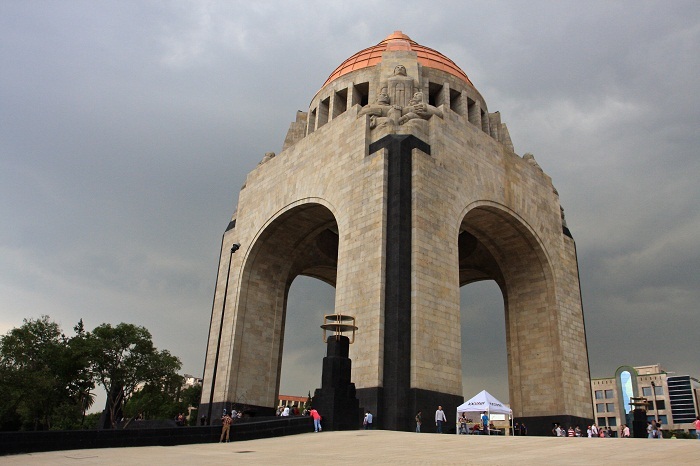 During the centennial celebrations of Independence in 1910, Díaz laid the first stone when he also inaugurated the Monument to Mexican Independence. The controversy about the building came for the Italian and Norwegian materials used during the construction, instead of using local Mexican materials. 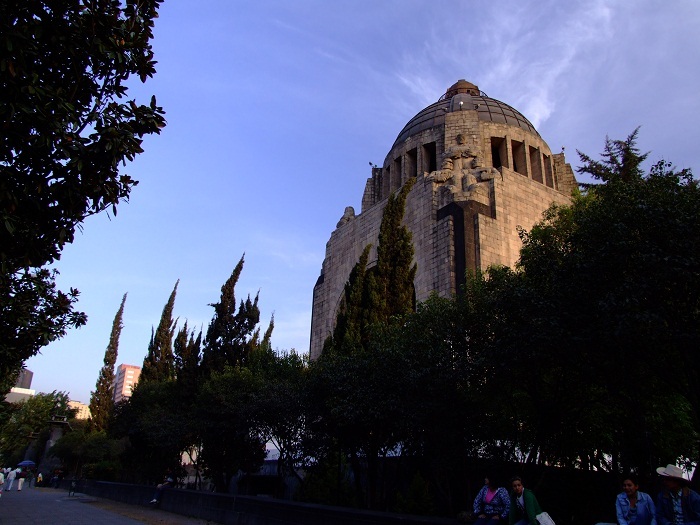 Still, the Díaz regime was ousted in May 1911, when the President Francisco I. Madero, replaced him, however, he continued with the construction of the building until he ran out of money in 1912. 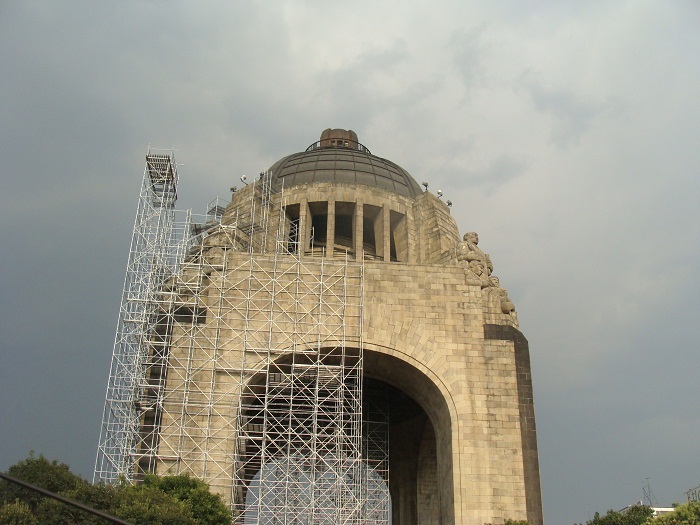 The whole structure was unfinished until 1938, when the President Lázaro Cárdenas finished the construction. 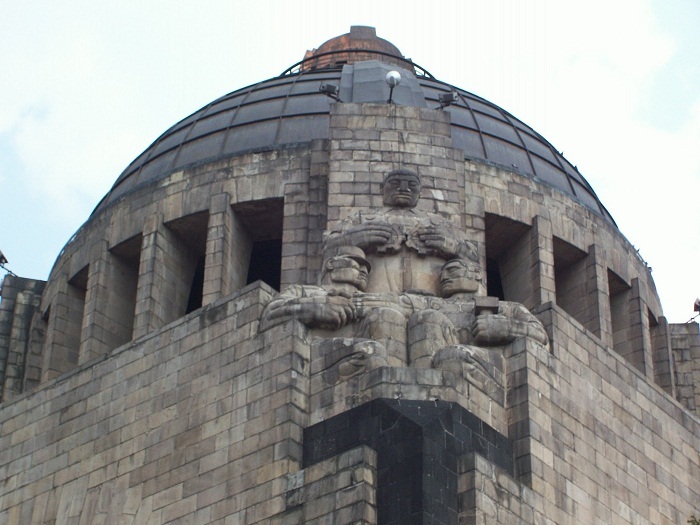 The open building was designed by Carlos Obregón Santacilia in an eclectic Art Deco and Mexican socialist realism style, over the existing cupola structure of the Palacio Legislativo Federal, where Oliverio Martínez designed a stone sculpture for the structure, with Francisco Zúñiga as one of his assistants. As it is open to the public, visitors can hop on the sleek glass elevator that gives panoramic views of the surrounding area, and it taking visitors to the access deck inside the stone and copper dome. 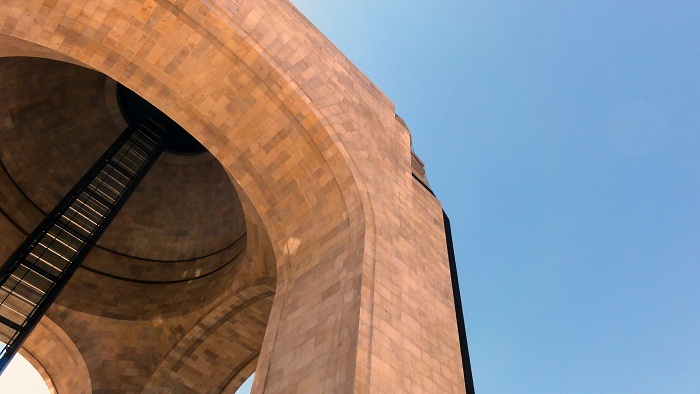 From there, one can take the spiral staircase within the dome to reach the very top of the arch, which allows the visitors to have 360 degrees of impressive views of Mexico’s capital. 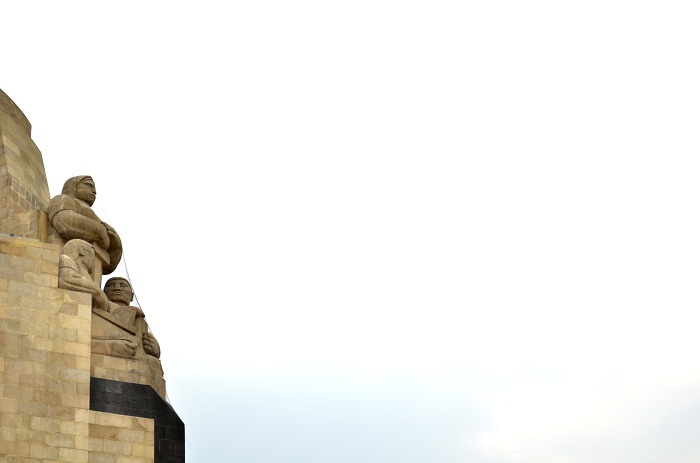 There is also a Café within the building, as well as the Revolutionary Museum at the base of the Monument. 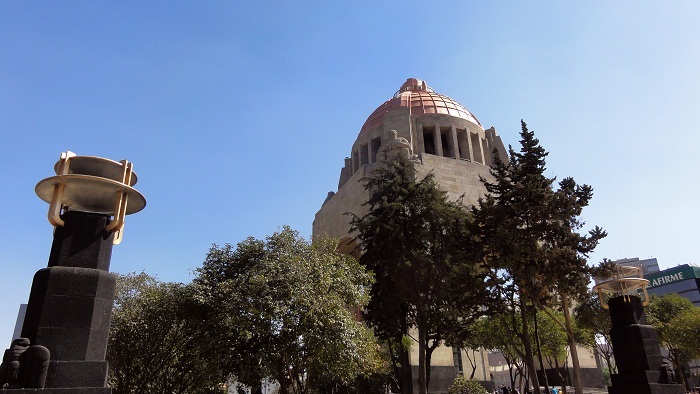 Definitely one of the most impressive sights in the Mexico City, a Monument that speaks very old history, which offers not just a taste from the Mexican cuisine, but also alluring sights of the capital which can be experienced only here and nowhere else.